The Buffalo Bills have finally stopped trying to make Nathan Peterman happen. Head coach Sean McDermott said today that rookie quarterback Josh Allen would start this Sunday for the Bills’ game against the Chargers. 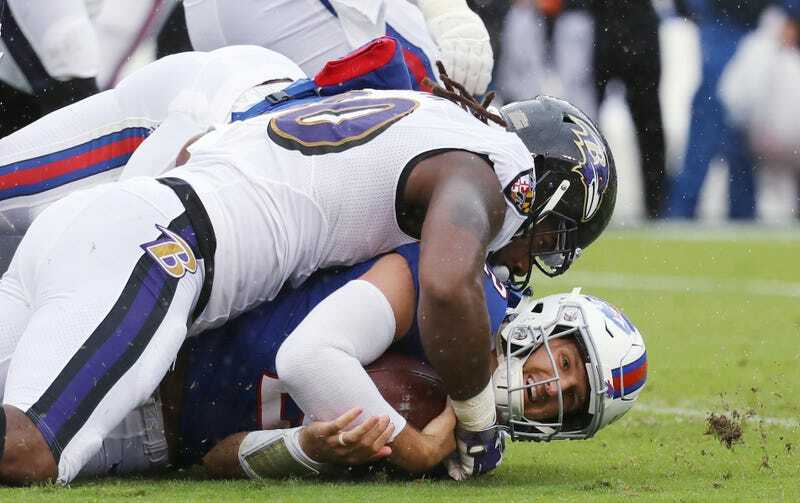 Peterman completed 5-of-18 passes for 24 yards, threw two interceptions, and earned a 0.0 passer rating before he was yanked early in the second half of the Bills’ 47-3 loss to the Ravens in Week 1. (As dismal as this is, it still doesn’t come close to his five-interception first half from last year.) At the time, McDermott said he needed to review the tape in order to assess Peterman’s performance. He must have reviewed the tape.